REEDSVILLE, Wis. — A diagnosis leads a husband, a father with three to five years to live. "It's hard, and it's, you never think that you're going to be put in a position like this and to have to pack everything into such a short period of time because you don't know how much time you have. I mean, we could have years, and we could not," said Sheena Glasow. 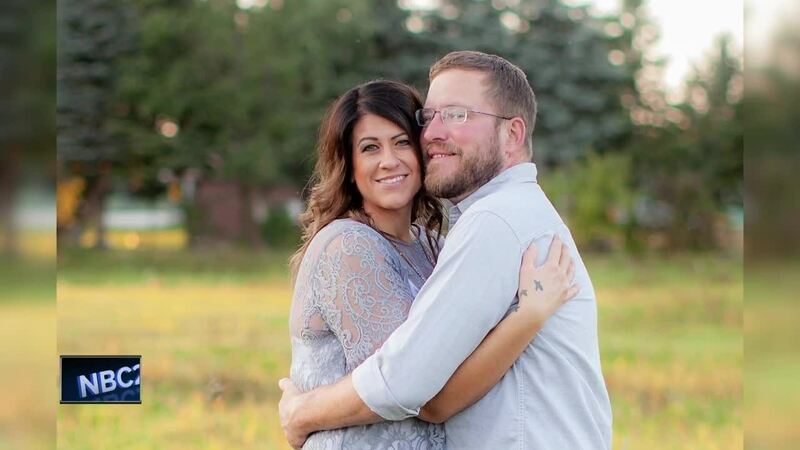 Sheena's husband Jacob was diagnosed with ALS in July and said there have been a lot of changes. "As of end of November, he is no longer working. He was working 40 hours a week until then," said Sheena. She said that was tough on Jacob. "You work your whole life, and then, you don't. So that was a big change for him and for all of us, as well," said Sheena. Sheena added, at home, things that used to be second nature to Jacob are harder, like walking, getting up from chairs, and dressing himself. "All the little stuff that everyone does on a daily basis, and you don't really realize that it's something that's a huge blessing, you know, to be able to do," said Sheena. With the help of the community, the Glasows are making changes to help Jacob. "Jacob recently got a lift chair which was an awesome gift, and that's made it a lot more safe for him to kind of be in the house and get up and down," said Sheena. A local building company is doing a home remodel to make everything handicap accessible, so Jacob can continue living in the house he's lived in since he was just 12-years-old. "It's just crazy the amount of support, all our friends, all our family. We're so thankful for all of it," added Sheena. Sheena said every day brings new challenges with their five children coping with this reality. "The girls are older, and I've had discussions with them about like, you know, what ALS is and what it means, and that it's terminal, and what terminal means, and they understand. They get it. The boys are a little bit too young yet to have that type of a conversation. They just know some of the possibilities of what could happen to dad," said Sheena. She told us she hopes people following their story will learn not to take anything for granted. "I mean, it's sad that it took this for us to realize that time is precious, so I hope other people learn from that. I hope other people learn, don't take people for granted," said Sheena. The Glasows are continuing to fight each day while making memories they will hold in their hearts forever.